The house is rated with 4,9, the maximum possible score of 5, which our guests can rate after their stay. Their experience in the accommodation, the guests can evaluate and comment and thus express their satisfaction with the quality of accommodation and the host. 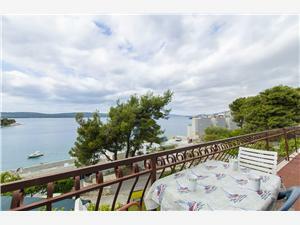 The accommodation is is 1000 m from the town center Trogir, and 25 m from the sea. From the accommodation to the beach there is 20 m, and you can sunbathe and swim at the beach, which is pebble and concrete slabs. For a carefree day on the beach do not forget to take the towel, sunglasses, sunscreen and water or other refreshments. Really enjoyed our time, great location and sitting out on the balcony with that lovely sea view was a real pleasure. The Pool was lovely with great seating for hanging out .Everything was very clean and Edits was a very helpful and pleasant hostess. Excellent apartment in a great location and in beautiful surroundings. 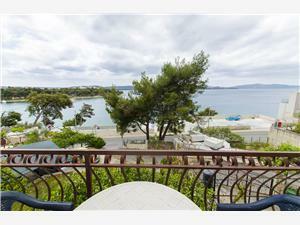 Villa Edita is in a great location and has a beautiful view over the sea. The pool area is super and is the perfect place to relax and chill out. Edita and her family are great hosts. 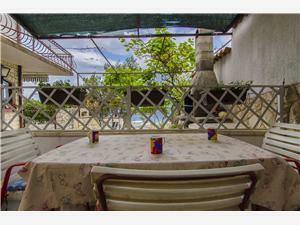 The apartment is close to restaurants and the beach and there are smaller supermarkets nearby. Getting to Trogir is easy either walking, or by bus or water taxi. You will find everything here to enjoy a perfect holiday. 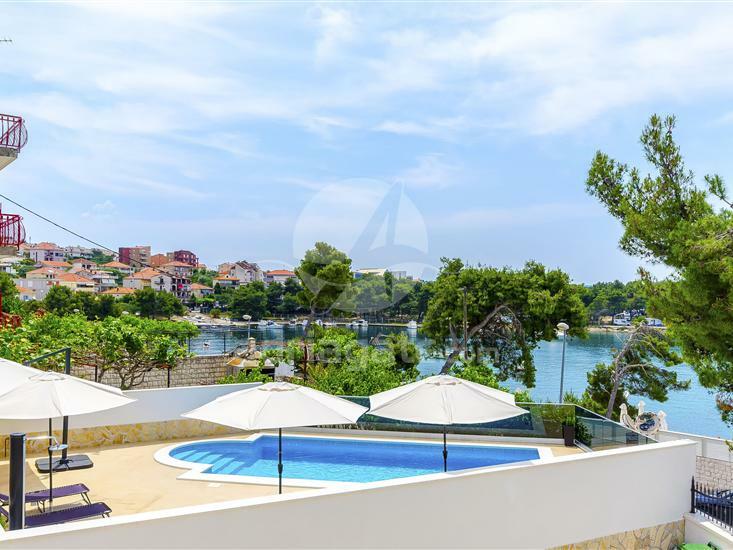 Beautiful location with easy access to old town by water taxi, bus or 15 min walk(steep hill) and coppacabana beach 5min walk. Apartments spotlessly clean and equipped with everything you need for comfortable stay. Grounds and pool/patio area immaculate. Edita and her family are lovely hosts, very helpful and friendly. Will definitely be back.